Collaboration is not only about working together toward a common goal, but it also develops new tools for our own process. It is in this active creative process that we can learn the most about ourselves. Immersing ourselves in an all-consuming moment, we can focus on ideas and questions more than the product. It is inside these questions that we can continue to evolve creatively. Just when we think we have the answer, it might be the time to question our assumptions. Art can be an ephemeral practice made real. 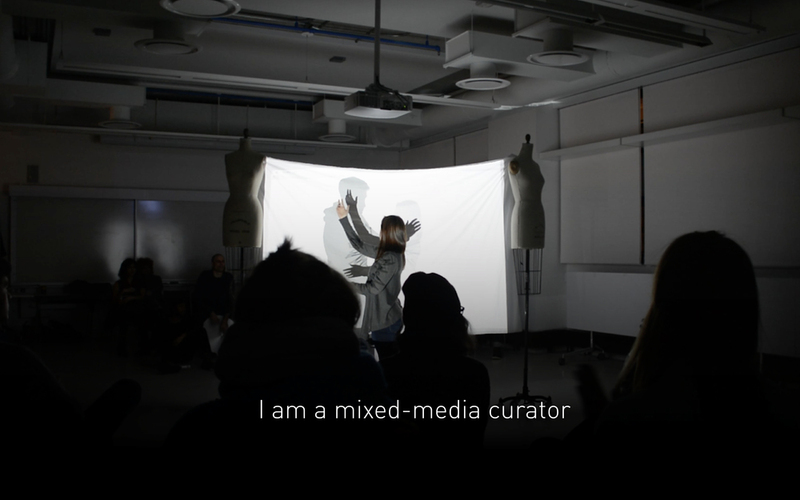 "Crossing the lines of art practice and thinking, I bring my storytelling tools from theatre and film to my classes at Parsons School of Design. My attempt, as a creative person, is to practice what I teach." Open Studios: Saturday, January 16th, 1-4 p.m.